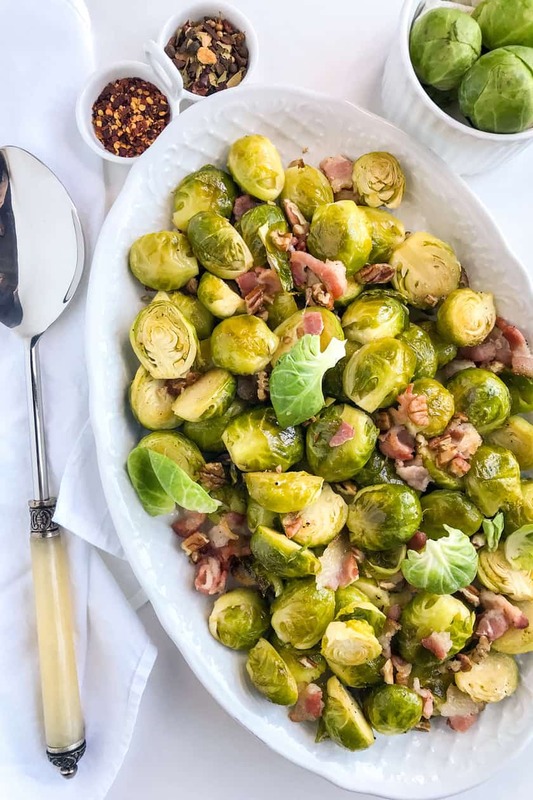 Maple Roasted Brussels Sprouts with Bacon and Toasted Pecans is one of my all-time favorite sides for fall. 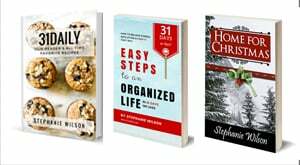 The flavors are everything you love about the season. Sweet and savory… and crunchy too. 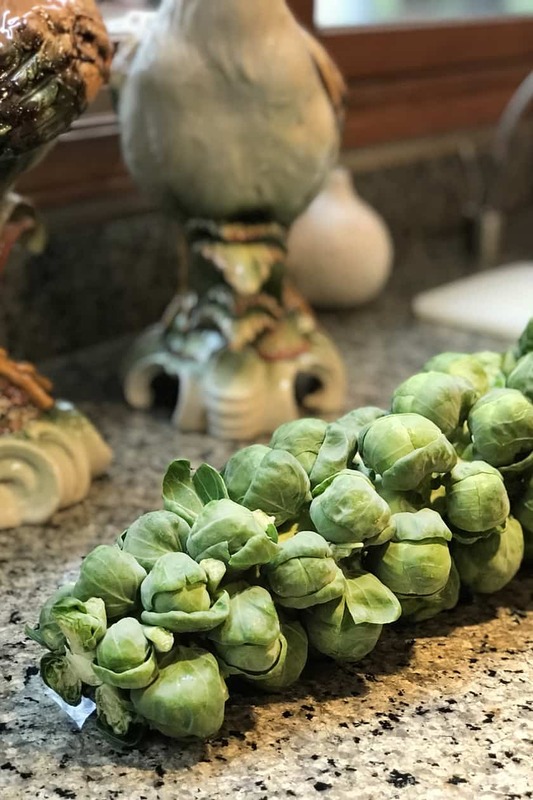 Enamored with brussels sprouts since I first laid eyes on their majestic stalks growing in a local kitchen garden, I began experimenting early in my marriage with brussels sprouts recipes. Imagine my disappointment when I couldn’t endear them to my new husband. Until… I discovered something about men. I began adding bacon. And maple syrup to those ill-fated brussels sprouts. It’s funny how those simple additions can suddenly make him a fan. 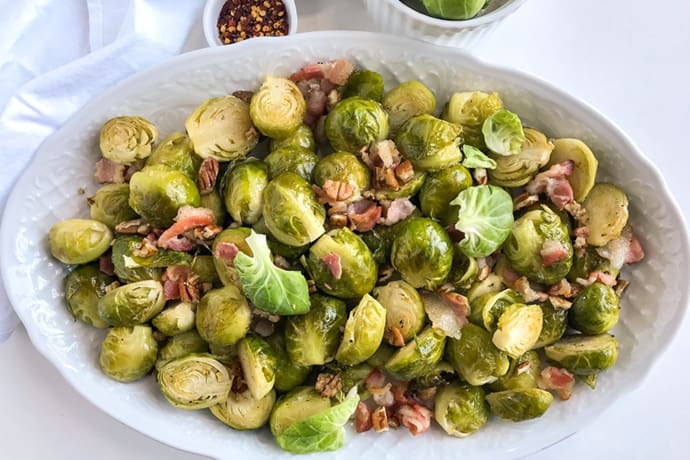 Encouraged, I began bringing this dish to block parties and potlucks… and as a result, also have made other non-brussels sprout people into fans as well. Brussels sprouts were named after the capital of Belgium where they were first grown. They were introduced to America by French settlers in Louisiana and nutritionally are high in potassium and a good source of vitamins A and C.
Here is a family favorite standout dish to accompany most any entree; from salmon to chicken, beef or pork… and most definitely… turkey. Preheat the oven to 375 degrees and line a baking sheet with parchment or foil for easy cleanup. Prepare the brussels sprouts by removing any yellow or brown outer leaves, cut off the stems and slice in half. In a large bowl, toss the brussels sprouts, bacon, garlic, and olive oil together. Once everything is coated, spread them onto the prepared baking sheet. Season with salt and pepper to taste. Roast in the preheated oven for about 20 minutes. 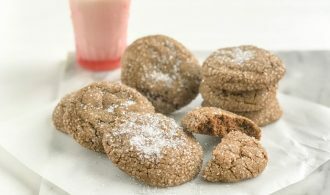 Remove from the oven and with a spoon stir to oven out the browning. 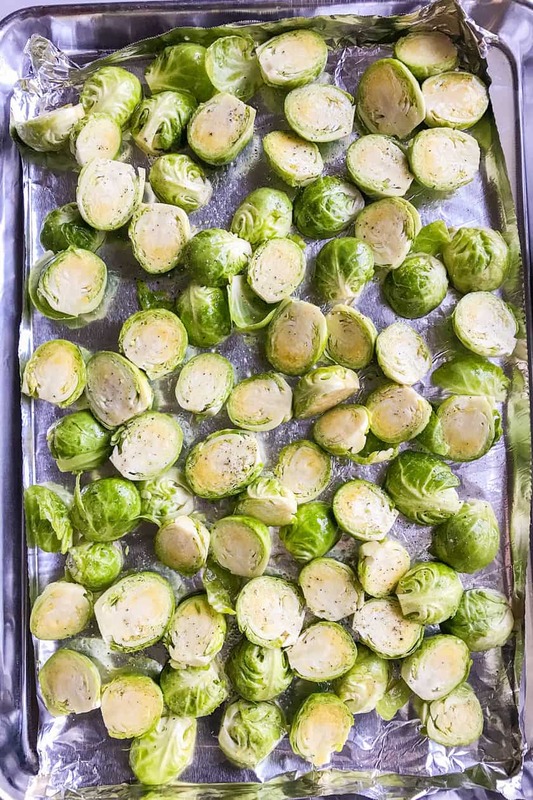 Return to the oven and bake for another 20 to 25 minutes, or until the brussels sprouts are fork tender. 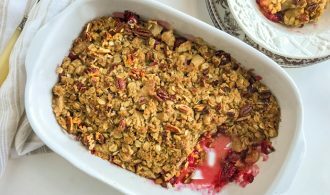 Toss with toasted pecans before serving.